Facing persistent racism and a critical change to planning law, which has been accused of being at odds with the Equalities Act and the European Convention of Human Rights, UK Gypsies and Travellers are saying enough is enough. 'Roma' make up Europe's largest ethinic minority, and the UK is home to 300,000 Gypsies and Travellers, yet “Who is 'a Gypsy'?” is a complicated and contentious question. GRT groups are diverse, and – whether definitions focus on nomadism, ethnicity or heritage – there is little coherence between different policies, for different purposes. What is clear however, is that GRTs are among the most marginalised people in Europe, suffering high levels of exclusion and discrimination. In the UK, GRTs experience extreme levels of poverty and inequality: poor educational provision, leading to low educational outcomes; worse health and lower life expectancy; stereotyping and abuse; job insecurity; and poor mental health. Romany Gypsies and Irish Travellers in the UK are recognised as separate ethnic minority groups and are protected by the 2010 Equalities Act, but this safeguarding is seldom felt by GRTs. Racism is propagated, says campaigner Shay Clipson, by “irresponsible and hostile media reporting.” And perpetrators of discrimination or attacks, she says, don't view themselves as racists. "But we are an ethnic group! You cannot have meetings about us in village halls.” Clipson feels such community meetings are reminiscent of those addressing the 'problem' of black and Asian people, during her youth; "They think this is different – because we're the same colour." “We've been slow to respond to discrimination in the past,” says Clipson, “but now we're taking people to task. We've had enough.” Speaking to the Equal Times, Doherty says he agrees the tide is turning, and that the internet – while also the scene of abuse – has sown the seeds of organised campaigning for GRT rights. The critical change is that the words 'or permanently' have been removed; and this small edit poses serious challenges for Gypsies and Travellers. It means that those who have ceased to travel permanently – for whatever reason – may lose any realistic chance of obtaining planning permission for a site on which they can lawfully station their caravan. Yet the majority of Gypsies and Travellers in the UK are in fact settled. Moving around is increasingly difficult due to the absence of stopping places and a lack of jobs. And discrimination makes a 'nomadic habit of life' doubly difficult. By settling in one place, Gypsies and Travellers have access to stable employment, healthcare, other vital services and education. And it's the vulnerable who are most likely to suffer most, says Willers, speaking to the Equal Times; those who can't travel due to sickness, disability or old age. Single mothers are also at risk, he says, as they are much less likely or able to travel for work. The threat of upheaval or homelessness, then, is biggest for those already at risk. “There is a lot of evidence that Gypsies, Romas and Travellers forced into bricks and mortar suffer mental health problems,” says Clipson. Willers believes these changes to the planning law are against Gypsies' and Travellers' fundamental rights. The Equality Act protects ethnic minorities from discrimination and affords respect for cultural traditions; Article 8 of the European Convention on Human Rights promises respect for private and family life and home; and Article 14 safeguards equality of the sexes. “It'll be a long, long battle,” says Clipson, “but people need to understand that we are like everyone else. At seven o'clock we're putting the kids to bed, walking the dog. 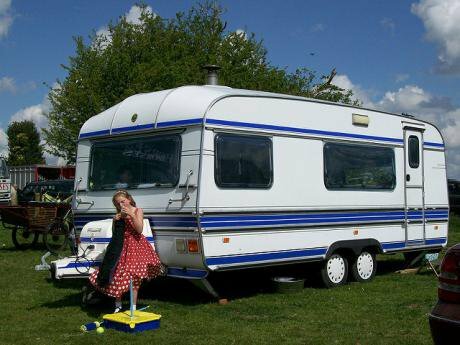 We go to work, pay tax, save our money in the bank.” It should not need to be stated, but the vast majority of Gypsies and Travellers in the UK are law-abiding citizens who reside on legal sites or in houses. This article was originally published in the Equal Times.